We believe that young children benefit the most when their pre-school setting and their parents work closely together in partnership. At Cygnets we like parents/carers to always feel welcome to come into the setting at dropping off or pick up times to discuss their child’s progress or inform us of any issues. In September 2016 we introduced ‘Tapestry’ as our online learning journey. Staff make observations and upload photographs and some video footage on the developments of each child and record through tapestry. Parents have access through this secure online system where they have their own logins and passwords. Through tapestry they are able comment, make observations of their child or pass on information that they feel the setting should be aware of. They are able to view their child’s learning journey and communicate with their child’s key worker should they have any queries or concerns. For a more confidential meeting or one-to-one discussion with key workers, parents/carers can book an appointment with the setting Leader, Carrie Gelder. Cygnets is a registered charity and is run by a voluntary management committee, largely made up of parents and ex-parents. The management committee is responsible for running the finances, administration, staffing and maintenance of the pre-school. We actively fundraise to continue to provide exciting and stimulating resources and experiences for the children. Events range from cake sales to fun runs, and without the help of parents, we wouldn’t be able to run these events. 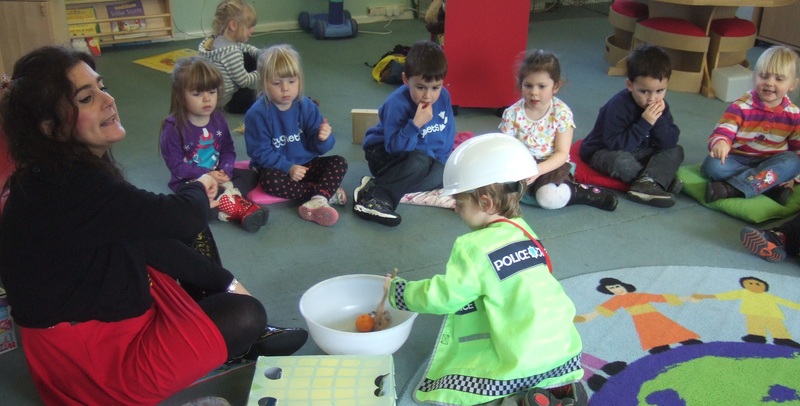 So, if you can offer any skills or activities that you would like to share with the children – even if you’d just like to come and read a story – we always encourage parents to be involved. All help is greatly appreciated. Likewise, it is important to maintain an active management committee. If you would like to become a member or just want to find out more about what is involved, please speak to the setting Leader, Carrie Gelder, or the Chairperson, Richard Lloyd.